Our next Sproutlings’ Spirit Day will be this Friday, February 1st. The theme will be crazy hair day. For children who want to participate, they can wear their hair in a crazy way! In Peadpods II this week we celebrated our friend Eli’s first birthday ! There were lots of yummy cupcakes for our friends to enjoy. For art this week we made hand print hearts to display on our window. We also made a special gift for our families, but they have to wait for Valentine’s Day!🤫 Our book this week was The Very Hungry Caterpillar by Eric Carl. Our song this week was a Baby Shark remix. This week we explored snow in the Little Sprouts classroom! We read Frosty the Snowmanby Jack Rollins and Steve Nelson. We sang ‘Frosty the Snowman,” “I’m A Little Snowman,” and “Let It Snow.” Our sensory table was filled with white shredded paper to imitate snow again. For art, we finger painted with white paint with glitter in it to make a snow scene and we made white handprints to turn into snowflakes. We worked on recognizing our colors. We are getting better at recognizing them every day. We’ve been having so much fun learning new songs during our music class with Miss Robin and we can’t wait to see what our coaches from Stretch-N-Grow have in store for us nest week! We will talk about families next week. This week in Beanstalks and Beanstalks II we learned all about how to take care of our clothes. We learned that many of our friends have washers and dryers at home so we were interested to learn about laundromats. We read Wash and Dry which taught us all about the process of doing laundry and we sang “Monster Boogie” by Laurie Berkner. We focused on the letter “S” this week. We learned that two friends have names that start with an S! We loved playing with our felt lacing shapes which worked on our fine motor skills and our shape recognition. We enjoyed working on spelling our names every morning and some of our new friends could identify a few of the letters! Next week we will learn about how clothes are made! Saplings learned who Martin Luther King, Jr was. As a class, we learned he was a hero to many people and he wanted everyone to be kind to one another. Our stories of the week were Martin Luther King, Jr. by Marion Dane Bauer and We March by Shane W. Evans. In literacy we continued on working on our handwriting. This week we focused on writing the letter “E” and came up with words starting with the letter “E”. In math we worked on AB patterns and sorting colors. To celebrate MLK we did a buddy hand print collage with paint. We also did an activity with a red and green apple. We talked about how the outside of the apples are different but the insides are the same. This week in Pre-K 4 and Maples the children worked on making shapes using popsicle sticks as well as a large geo-board. The children learned to differentiate between the shapes by counting each shape’s sides. 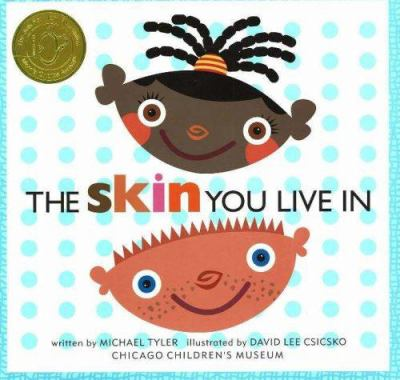 In celebration of Martin Luther King Jr. birthday the children read the book The Skin You Live In by Michael Tyler. The children learned of MLK Jr.’s dream and wrote about their dreams in their weeks journal entry.